in: Gil-Salom, L. & Soler-Monreal, C. (Eds). 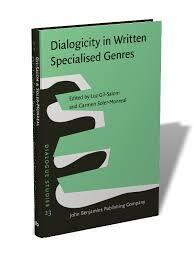 DIALOGICITY IN WRITTEN SPECIALISED GENRES (expected September 2014). Dialogue Studies, John Benjamins Publishings. Recipe: Raspberry cake. With written ingredients. Very easy and tasty!